One great way to save money on industrial equipment is by purchasing it through online auctions. Before you place your first bid, however, consider familiarizing yourself with the following tips. By doing so, you can get a great price on a high-quality piece of equipment. When you find an item that you are interested in bidding on, you should learn as much as you can about it before you place your bid. Bids are binding on the vast majority of auction sites. That means that if you accidentally place a bid that is higher than the value of the item or if you bid on the wrong item, you may be stuck paying for it anyway. A little bit of research can go a long way toward keeping you from over-bidding or from purchasing items that aren’t a good fit for your business. If the auction is being held locally, you should set up a time to view any items you are bidding on in person. If that isn’t possible, you should still contact the seller if you have questions about the condition of the equipment. Don’t wait until the last minute to address any questions that you may have. Sellers tend to be quite busy directly before an auction begins. To increase your chances of getting a quick response, you should contact them well ahead of time so that they aren’t too busy to answer your questions. Finally, make sure you have an upper limit in mind in terms of how much money you want to spend on the item before you start bidding. The last thing that you want to do is get so caught up in bidding that you wind up paying more for the item than it is actually worth. When bidding on an item in an online auction, it is important to remember that there may be additional fees above and beyond the amount that you bid. For instance, many online auctions charge what is known as a buyer’s premium. In essence, this is extra money that is added to the final bid price to pay for administrative services. Depending on the auction, this could range from about 10% to 25% of the purchase price. Failing to take the buyer’s premium into account before placing your bid could leave you scrambling to come up with enough money to pay. You also need to think about the cost of shipping the item to your location. This is especially true if you are purchasing large or bulky items. In some cases, you may also have to pay to have the item removed from its current location so that it can be shipped to you. Depending on the circumstances, you may be asked to pay for the cost of removing the equipment. Finally, you will need to find out if there are any import fees or taxes associated with the item. Taxes can be quite complex, depending on where you live. This is especially true if you are buying items from overseas. Make sure you have a full understanding of all of the taxes or fees that you are responsible for before placing a bid. Unless you are familiar with import fees and tax laws, you may want to consult a professional for advice before making a major purchase. If your business is tax-exempt, you will need to let the seller know so that they can make the proper declarations when shipping your items. After researching the used industrial equipment and making sure that you understand all of the associated fees, you can take the next step, which is registering for the auction. Typically, this process is handled through the auction company’s website. In most cases, you will be asked to provide credit card information so that the company can verify that you are a valid buyer. After registering, you will need to wait for approval from the seller before you can actively take part in the bidding. Because of that, you should never wait until the last minute to register. During the registration process, be sure to read the rules of the auction carefully. For instance, some auction companies require you to pay immediately after the sale. Others have special terms regarding removal. 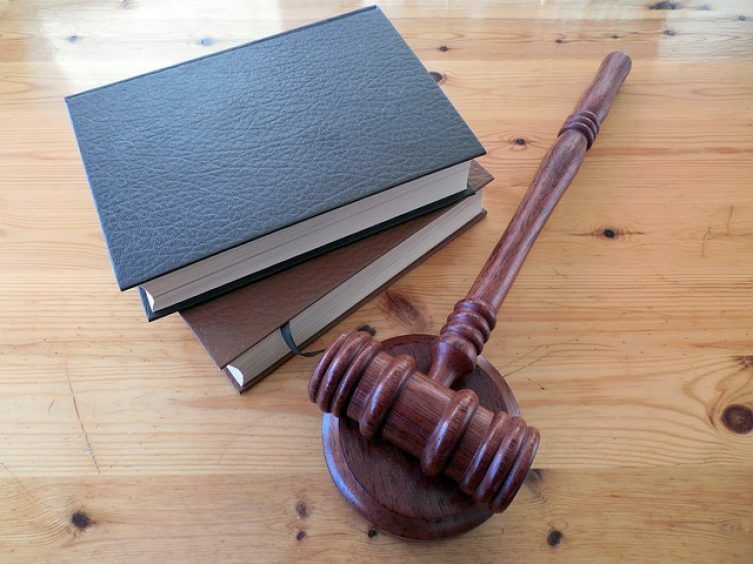 These rules can vary quite a bit from one seller to another, which is why it is important to read them for every auction. For instance, imagine how devastating it would be to bid on a piece of equipment only to find out after the fact that the seller’s terms include a section on delayed removal. In that case, you may not be able to get the equipment in time. Have you ever wondered why auctioneers speak so quickly? In part, it is so that they can create a feeling of excitement and urgency around the sale. This also applies to online auctions. When the bidding starts to heat up, it is easy to get emotionally involved and to wind up bidding more than you intended. To avoid that, you should always have a top price in mind. Once the bidding exceeds that price, step away from the auction and look for the equipment elsewhere instead. Additionally, make sure that you truly need the items that you are bidding on. Although this problem is more commonly associated with in-person auctions, it can also happen when you are shopping online. Make sure that you go into the auction with a clear understanding of exactly what items you need. Avoid the temptation to purchase other items that you spot while you are online unless you really need them. Remember – you can’t take items back after buying them at an auction. When you win an item through online auction, you will usually need to pay for it right away. Make sure you know exactly how the payment should be sent. For instance, some auction sites collect payment through PayPal whereas others require you to wire the money directly. Some companies also use their own payment processing service. Regardless of which method is used, you should be ready to act quickly to submit your payment after the sale. Finally, don’t forget to find out all of the details about how the item will be transported to your location. If you are picking up the item locally, find out the exact time and place where you can get it. If it is being shipped to you, determine whether or not you can choose the carrier and make sure that you get a tracking number. Again, before bidding on an item, it is important to figure out how you will get it to your location. Transporting industrial equipment can be expensive. Be sure to keep these costs in mind before you place your bid. I couldn’t agree more when you said to make sure that you understand the payment and shipping terms if you’re planning to buy industrial equipment from an online auction. The total cost of the equipment may be separate from the shipping fee, so it’s best to coordinate with the organizer to clarify the terms of payment. You may want to verify with them how soon they would be able to ship or deliver the equipment and if they provide any warranty for it. If I were to purchase industrial equipment myself, I would make sure to keep this in mind. Thanks. Yes, an online auction can be a good place to buy industrial equipment and can save huge money too. Another way to buy used equipment is to contact Ice-equipment. They have a database of over 1,000 Packaging Companies worldwide and are able to help you find Used Equipment or sell your existing Used Equipment. Thanks for sharing the useful industrial equipment buying tips.